We are obviously showing the strain of retiring early ... being retired since 1994...and been married since 1975. I am often asked what is the best single piece of advice I could give people contemplating early-retirement... there are actually several that I would like to share with you today. It is not rocket science, it is deciding that retirement beats work any day of the week... saving money by not wasting money... and simply taking action. Most of this advice is simply common sense, and I don't mean to insult your intelligence, or oversimplify. As Nike says... Just do it!! 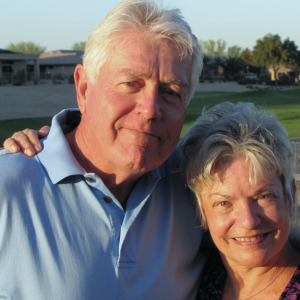 The first tenent of frugal retirement living, is to realize the importance of time compared to money... the more years you work the less you will be retired, and as we age physically we will become less and less able to achieve our retirement dreams. 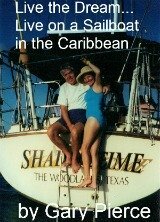 We started off with eight years of living on a sailboat in the Caribbean...could I do that again being born in 1945(do the math)... sure we saw many people at that age or over enjoying this fun lifestyle. But going up the mast, 53 feet above the deck, to change a lightbulb is not my idea of fun anymore... I am very careful when I use a ladder around the house now. So the best piece of advice for early retirement that I could give is to do it as soon as possible. Secondly, you should remember that the worst that can happen to you if your early retirement fails is that you have to return to work. We are not being overly simplistic when we say that... you may have to return to work... but the years that you been retired can never be taken from you. This website is a way for me to supplement my Social Security income,Here is a series of videos, explaining how I did it...extra money was not required until the 2008 stock market crash... once you get a taste of the retirement lifestyle, if you are like me, you will do everything in your power to going back to a " real job ". Saving money is not an option if you want to contemplate early-retirement. Buying things that you cannot afford, we are unlike the federal government, and running up credit card debt makes early-retirement almost impossible. Here is one page of resources...this page has links to almost all of the saving money practices that we have employed throughout our wonderful marriage. To sum up, retire is early as you can the worst thing that can happen is that you have to return to work... and there are ways to avoid looking like you're working well you earn. Makes saving money a serious priority starting right now... and never ever incur any credit card debt... it is the number one early-retirement killer.